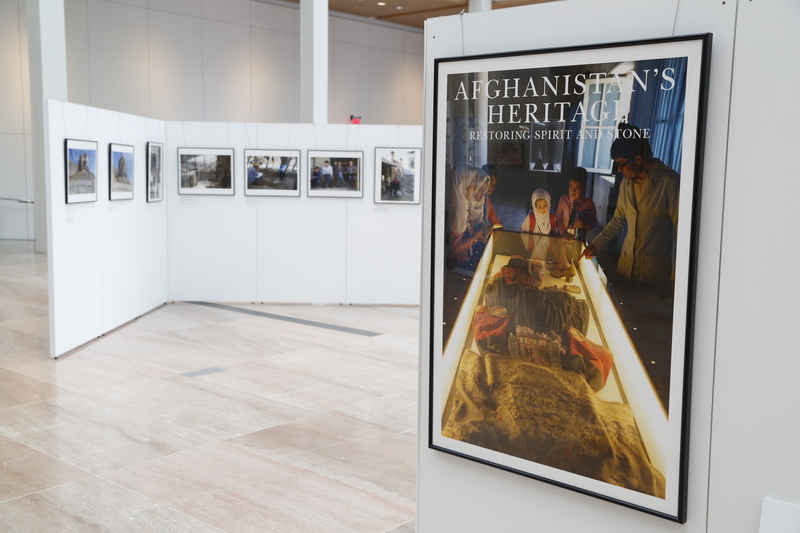 The United States Diplomacy Center is pleased to host the Bureau of South and Central Asian Affairs’ photo exhibition Afghanistan’s Heritage: Restoring Spirit and Stone from October 9th through October 29th. The 37 images are from the U.S. Embassy Kabul commissioned photobook of the same name, showcasing historic sites, monuments, and cultural institutions that have benefited from the Embassy’s support. The photobook also includes essays from young Afghan thought-leaders and pioneers. Award-winning photojournalist Robert Nickelsberg, with over thirty years of experience documenting Afghanistan, was enlisted for the project. Afghanistan’s heritage is unmatched in its richness and diversity, and the shared patrimony serves as a unifying foundation for all Afghans. By protecting and preserving Afghanistan’s monuments, archaeological treasures, and cultural traditions such as poetry and music, the United States is helping to build a more resilient Afghanistan by giving all Afghans a deeper sense of what binds them together, strengthening economic opportunities, and educating a new generation to help foster co-existence and tolerance. Please find out more about U.S. Embassy Kabul at Discover Diplomacy! Or check out our previous exhibit.